​​Come and celebrate Vappu, or Labor Day, with an evening of music and dance with Finn Hall at the fabulous Finnish Bistro! 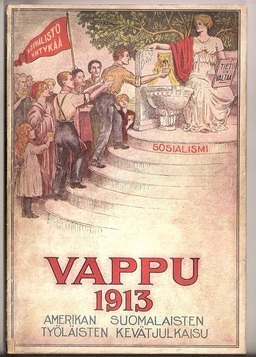 Vappu is a celebration of International Worker's Day, and has been celebrated with gusto in Finland since 1890, and in many countries it has been a paid day-off since 1918. Wonderful food and drink available for purchase at the Bistro! 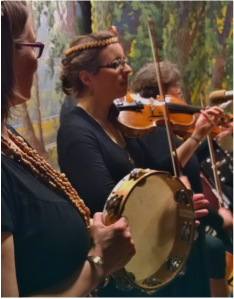 Come for an evening of great food and great music, celebrating the legend of St. Urho! No cover charge, but great food and drink available for purchase. And remember to wear your purple and green! Finn Hall plays an afternoon of music for the Residents of the Walker Community, and to celebrate the birthday and life of a dear friend. 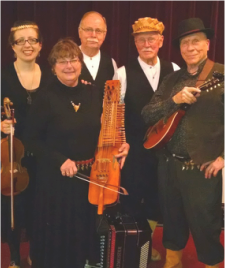 Come and enjoy a hot bowl of pea soup along with a hearty potluck feast, lively music for listening and dancing with Finn Hall, and an engaging demonstration of Finnish-American folk-dancing by Kisarit! 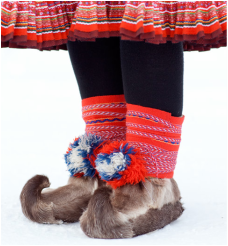 FACA Board members will supply a variety of hernekeitto (pea soup), and there will be plenty of hyvää kahvia. Finn Hall plays the Nordic Ball! 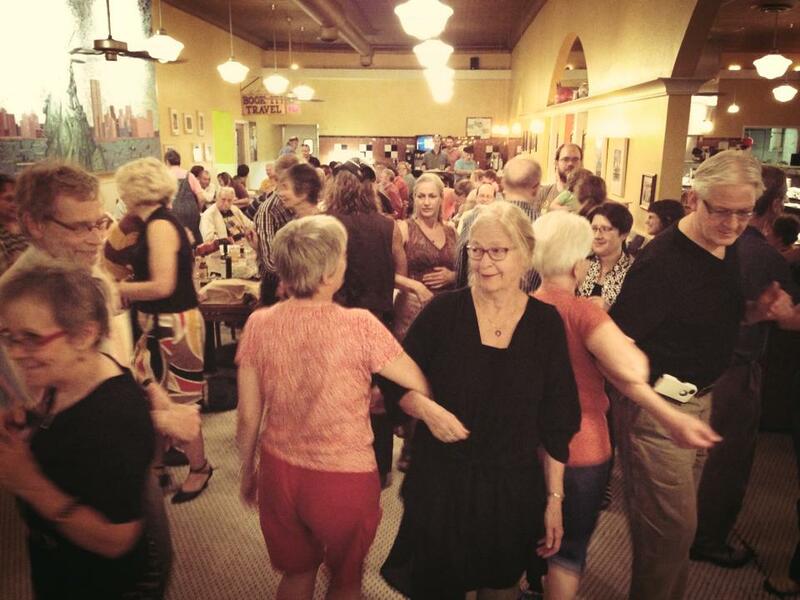 Once a year the local Nordic dance and music community hosts a Nordic Ball where Norwegians, Swedes, Danes and Finns, as well as friends and family, come together and share an evening of music and dance, and dinner. Finn Hall will be playing during the evening for this festive event. And the Ball is for everyone! Please come, learn some new dances and dance the old ones as well. 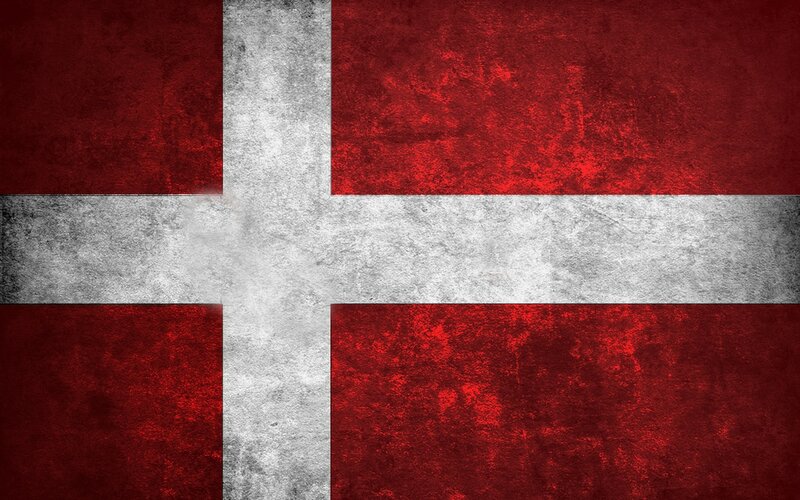 ​​Come and enjoy an evening of Nordic music and dance at the Danish American Center! 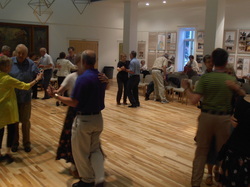 General dance review at 6pm, then Finnish Dance Lesson at 6:15, with an evening dance from 7pm - 9pm. ​Finn Hall plays a private event. 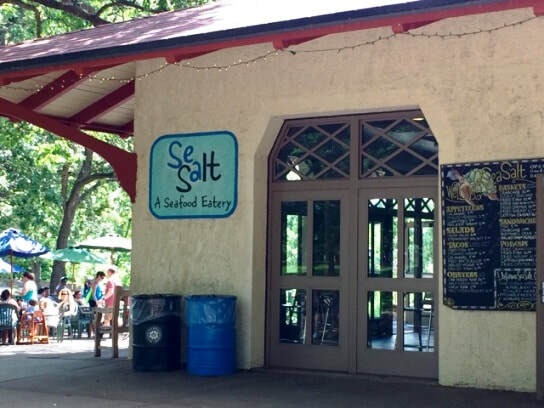 ​​Come and enjoy an evening of music and dance outside at the Sea Salt Eatery nestled beside the Minnehaha Falls while enjoying the popular eats of the Sea Salt! A beautiful location, great eats, and an evening of beautiful music. Perfect. Band mates are spending time with family, traveling to Finland, portaging through the Boundary Waters and sharing music with Upper Peninsula Finns. See you in September! This is a fun event for the whole family! A true Scandinavian Folk Music Festival with nordic music, dance, and even activities for the kids. 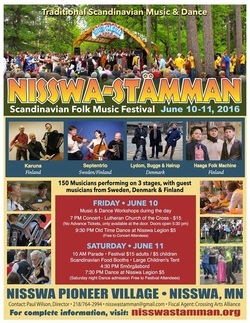 This weekend-long event is held in Nisswa, MN with musicians coming from Finland, Denmark, and Sweden. ​For more information: Nisswa-stämman's Website or their Facebook Page. 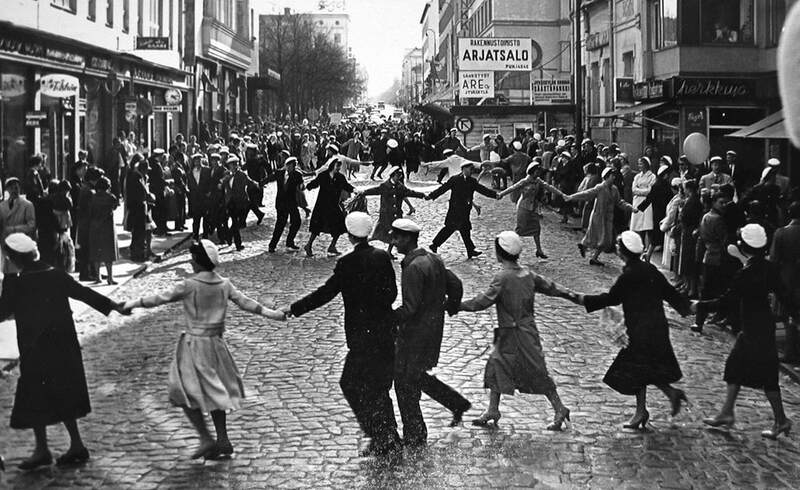 ​​Come and celebrate Vappu, or May Day, with an evening of music and dance with Finn Hall at the fabulous Finnish Bistro! 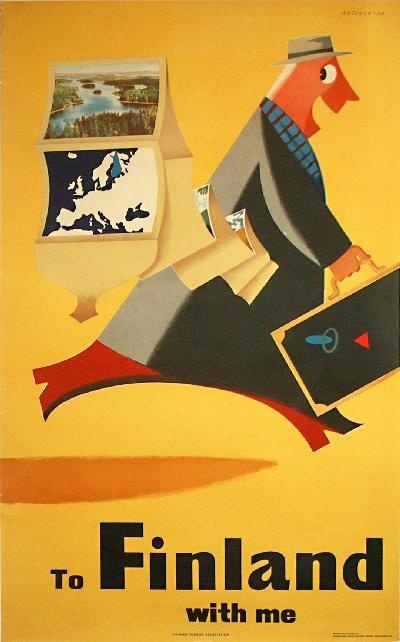 Vappu, Memorial Day of Saint Labor and the Workers International Festival Day, has been celebrated with gusto in Finland since 1890 and in many countries it has been paid day-off since 1918. Wonderful food and drink available for purchase. A night with Finn Hall at the Eagles! 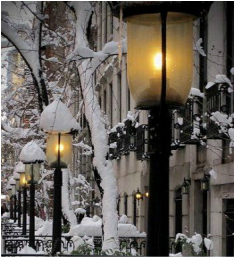 The snow has stopped! Come and celebrate the warmpth of Spring with an evening of music and dance with Finn Hall. Cover: $8. Food and darink available for purchase. 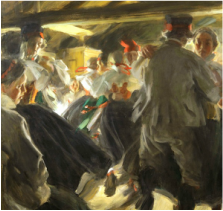 Finn Hall's St. Urho Dance at the Eagles! 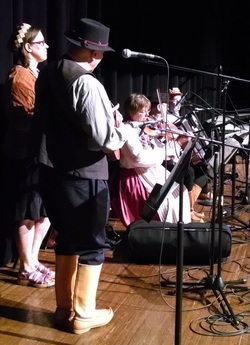 Come and enjoy an evening of music and dance as we celebrate the legend of St. Urho! There will be a dance lesson from 7pm - 7:30pm. Be sure to wear your purple and green! 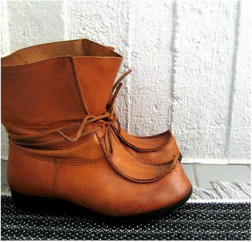 Cover: $8. Food and drink available for purchase. 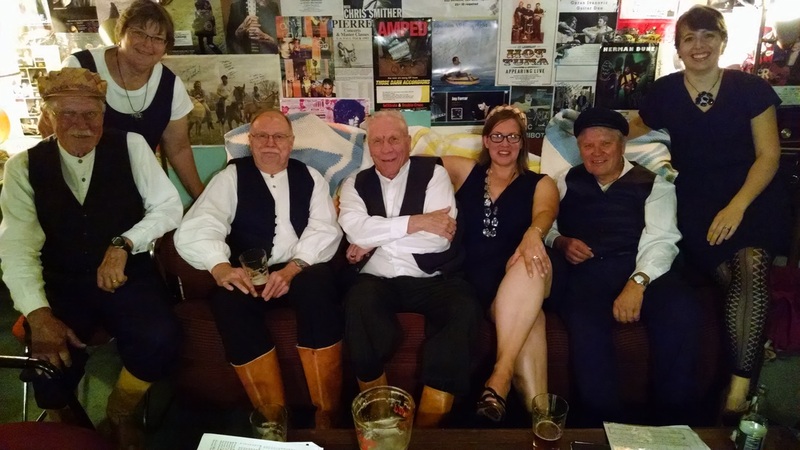 Finn Hall celebrates St. Urho at the Bistro! 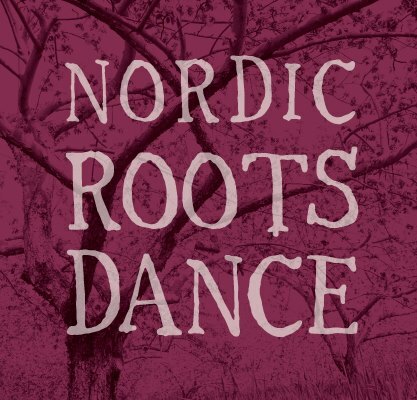 Once a year the local Nordic dance and music community hosts a Nordic Ball where Norwegians, Swedes, Danes and Finns, as well as friends and family, come together and share an evening of music and dance, and dinner. This year the event has been organized and presented by the local Finnish dance and music community! Finn Hall will be playing during the evening for this festive event. Finn Hall Event at the Eagles! Oh Heikki it's cold outside! 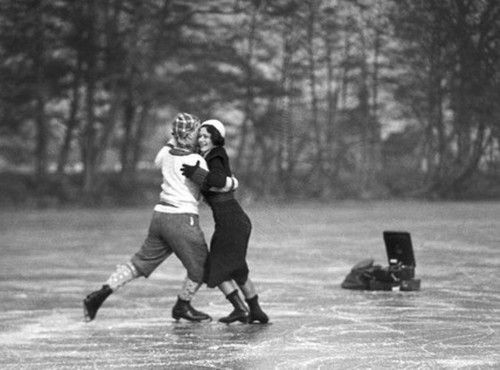 Finn Hall will be providing an evening of music and dance to warm those icy, dark evenings of Winter. 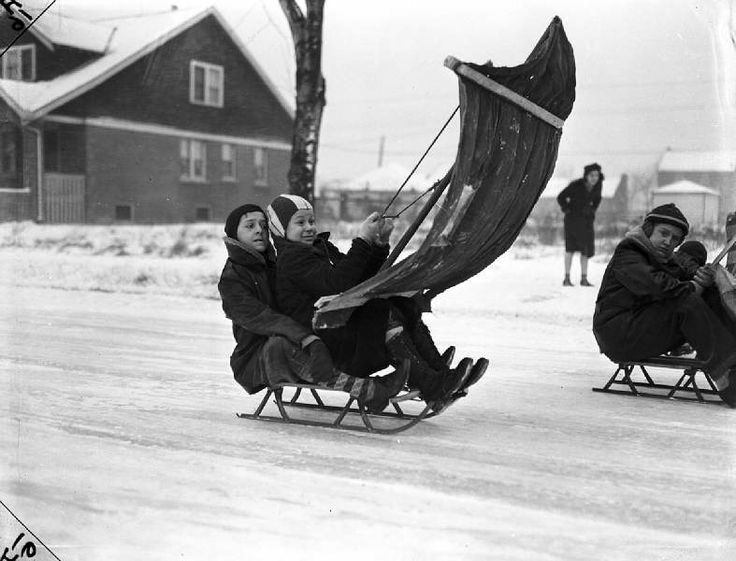 So come by car, bus, or sled with sail, and prepare for an evening filled with nostalgic Finnish favorites. Finn Hall plays the Finland 100 Gala in Winnipeg! To celebrate Finland's 100th Anniversary of Independence, the Finns in Winnipeg organized a Gala complete with a gourmet dinner, and visits from the Minister of Culture, Assistant Mayor of Winnipeg, Honorary Consul of Finland, and a Representative sent by the Ambassador. A beautiful celebration! Finn Hall will provide an evening of music, a concert, and dance. Tickets managed by the Cultural Centre. A Fall Harvest Dance with Finn Hall! The day after Thanksgiving Day is a time to turn the oven off and unwind with an evening of music and dance with Finn Hall! 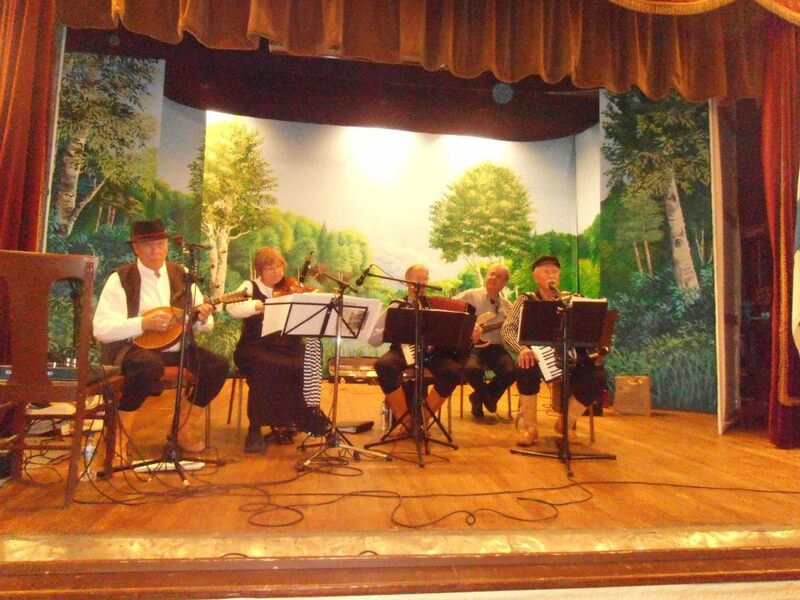 We will be playing all of your favorite tunes from waltzes, polkas, humppas and even a schottische (jenkka) and mazurka or two, with a few mixer dances that include the whole family. Finn Hall goes to FinnFest 2017! Finn Hall will be playing for listening and dancing in the Tori at two different locations. and a sing-a-long with Margaret Vainio and friends. $5.00 for children age 3-7, free for children 2 and under. This is an official FinnFest (https://finnfest.us/) event hosted by FACA (http://www.finnfaca.org/) – Finnish American Cultural Activities Inc.
Come and join us for a day of sharing music, dance, and dinner! 6:00pm: Performances by Kisarit Finnish Folkdancers, Laulu Aika, with other musical suprises! 8:00pm: Finn Hall playing-out a night of exciting dance music. Dance instruction and music jam are free events! VICTORIA LIONS PARK: 1601 82nd street, Victoria, Minnesota 55386. This festival is free and has something for all ages! Finn Hall will join musicians representing other Nordic countries for this all day event. There are two stages and also an area for dancing. Food is available for purchase, and there are Nordic crafts made available by different local artists. It's a wonderful day of music, dancing, and friends new and old. This year marks 100 years of Independence in Finland! The planning for our Finland Independence Anniversary Gala is well underway and will be held at Orchestra Hall on December 6th. In support of the planning and costs of this event, Finn Hall will be providing an evening of music and dance. ​The Cover Charge will be by donation. 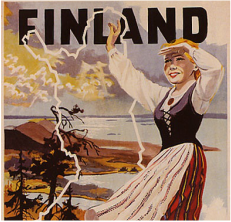 So come enjoy an evening music and dance in support of Finland's 100 Years of Independence! Spending time with family, friends, and Finns in private celebrations, with music, and on the dance floor. See you in August! Come and celebrate Johannus in the historic Kaleva Hall with an evening of music and dance by Finn Hall! 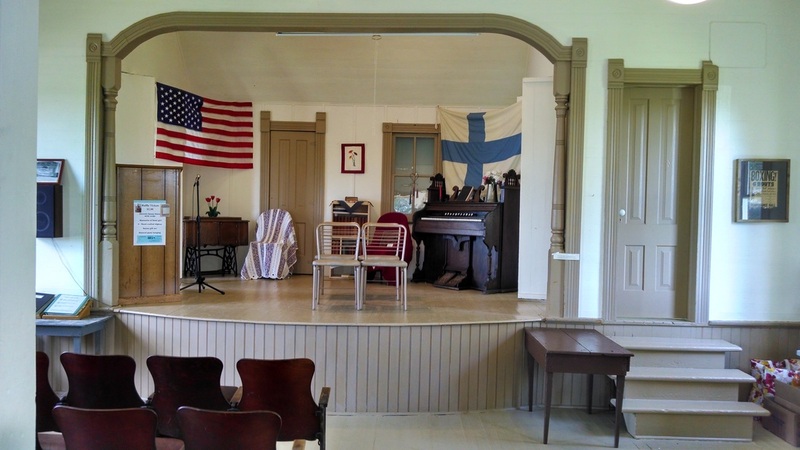 ​ Kaleva Hall was a Finntown landmark back in the early 1900’s and was used to provide newly arrived immigrants from Finland an uplifting social outlet, not unlike the Finn Hall Mid-Summer's Dance! It's an annual Juhannus Party, a Finnish celebration welcoming the Summer Solstice, with long-time friends of Finn Hall. 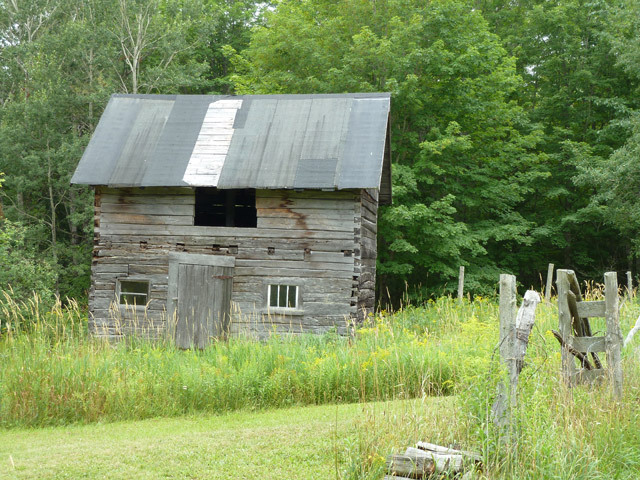 The picnic tables are dressed with wildflowers, sauna is hot with stacks of fresh towels for revelers, and the valley echos the sweet melodies of Finn Hall where the barn is full of music and dance. ​​Come and celebrate Vappu, or May Day, with the Finn Hall! Vappu, Memorial Day of Saint Labor and the Workers International Festival Day, has been celebrated with gusto in Finland since 1890 and in many countries it has been paid day-off since 1918. So come and celebrate Vappu with an evening of music and dance! 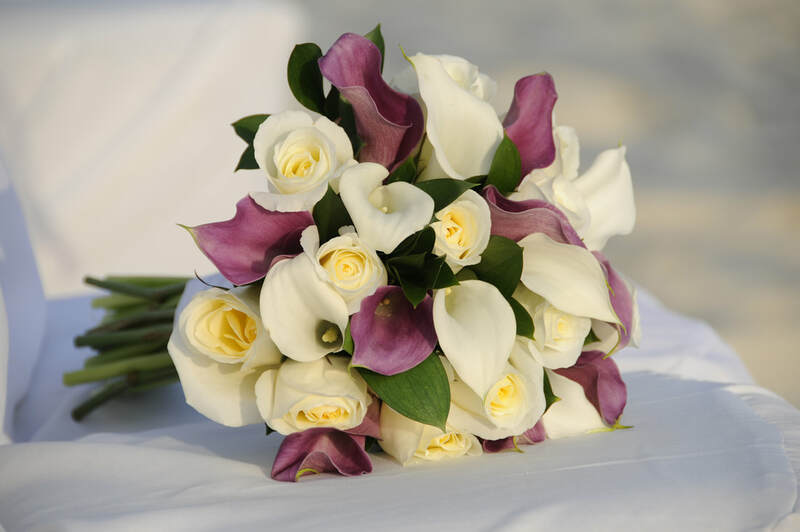 A beautiful private event for a beautiful Bride and Groom with Finnish violin music filling the nave, and those sweet Finnish melodies for the first Tango and into the evening. Finn Hall goes to the Museum! Finn Hall will provide dance instruction, then concert and dance to follow. 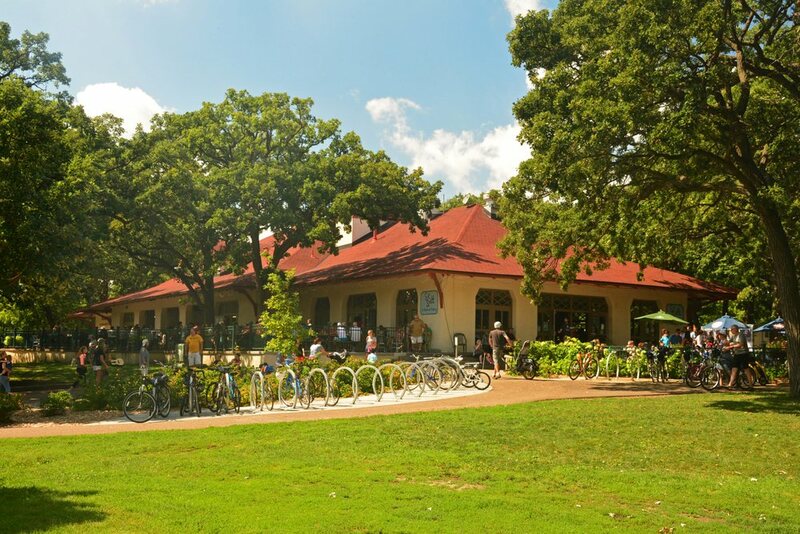 The admission charge allows you to visit the museum, order off the menu at the Little Mermaid Cafe, and enjoy Finn Hall. The event will be held in the old elementary school located downtown, with a very large train mural on the western facing exterior wall. See you there! Finn Hall at the Eagles! 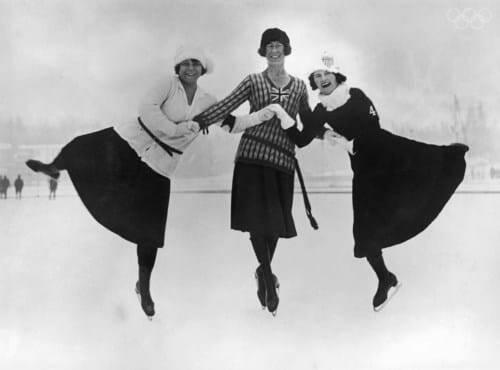 Spring is here and we've practiced our favorite tunes for a fun evening of music and dance! 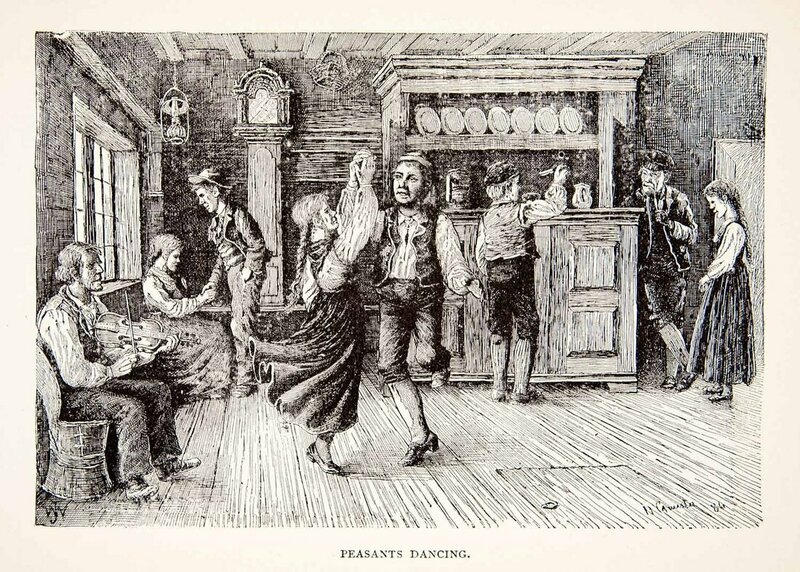 There will be waltzes, polkas, humppas and even a schottische (jenkka) and mazurka or two. Food is always available for purchase. Cover Charge: $5 See you then! Finn Hall Four at the Bistro! 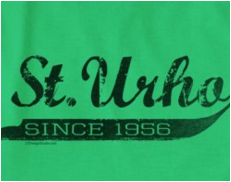 Come and enjoy an evening of music and dance as we celebrate St. Urho's Day! Revelers will be wearing purple and green, dancing to favorite Finnish tunes, and enjoying an incredible Finnish meal and other goodies available for purchase at the Bistro. See you there! Finn Hall will be playing music for the Finnish Kisarit Dance Group at this year's Laskiainen celebration, sponsored by Finnish American Cultural Activities, Inc.
Finn Hall at the Nordic Ball! 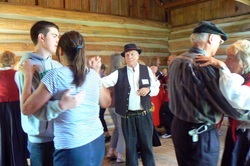 Finn Hall will be playing at the 41st Annual Nordic Ball sponsored this year by the Danebrog Dancers. There will be several bands participating with plenty of dance opportunities throughout the evening. A light dinner will be served. Finn Hall goes to Julmarknaud! Come and celebrate the beinning of the holiday season with the sights and sounds of a nordic Christmas! 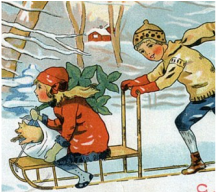 We will be playing and singing favorite Swedish and Finnish Christmas tunes. Listeners welcome! 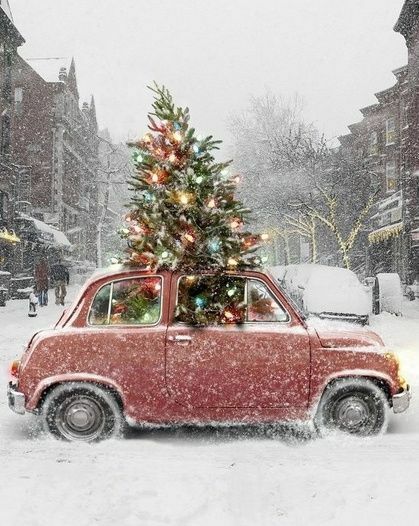 And there will be small space for a morning Christmas waltz as well. For more information about this event, please go to the ASI's Julmarknad Event Page. Finn Hall is back at the Eagles! So come, leave your golashes at the door, and enjoy the deep music and sounds that have brought joy to generations of Finns, Nordic people, and Friends everywhere. Finn Hall goes to the Nordic Music Festival! The Nordic Music Festival is a fun event for the whole family with continuous music throughout the afternoon, Scandinavian foods available for purchase, and Nordic artisans selling their art and crafts. Finn Hall goes to the Mesaba Cooperative Park! ​Finn Hall will be recreating the music of the old Finn Halls in northern Minnesota for this beautiful event. 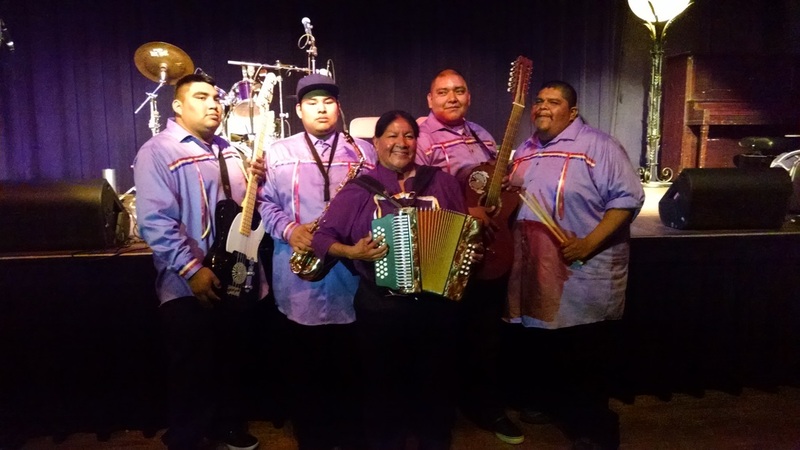 This Library concert is presented by the Metropolitan Library Service Agency (MELSA) and funded in part by the Legacy Amendment, dedicated to preserving Minnesota's culture and heritage. We're excited to be part of this concert series and share the music and dance of our Finnish heritage! Finn Hall goes to Nisswa-stämman! 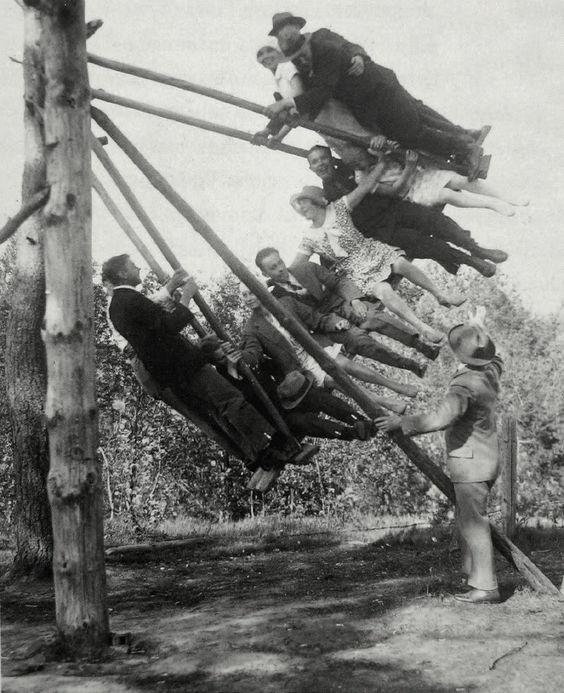 This is a fun event for the whole family! A true Scandinavian Folk Music Festival with nordic music, dance, and even activities for the kids. 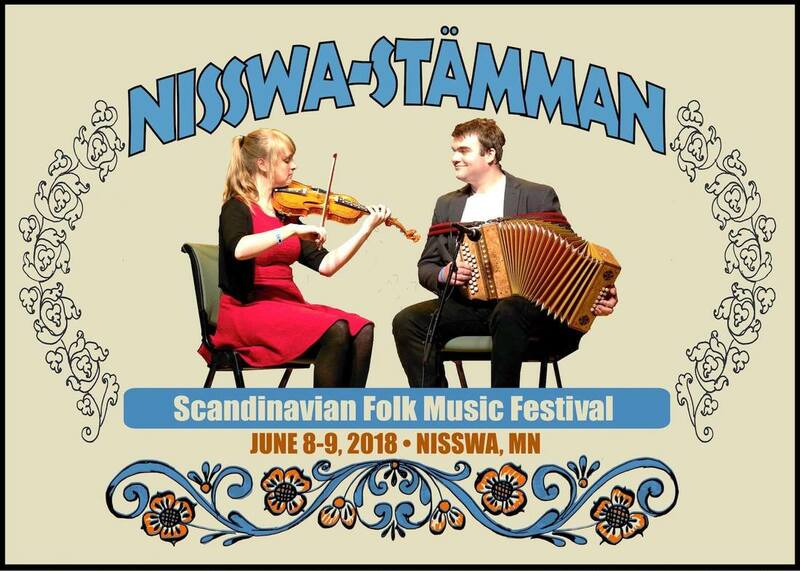 This weekend-long event is held in Nisswa, MN with musicians coming from Finland, Denmark, and Sweden. 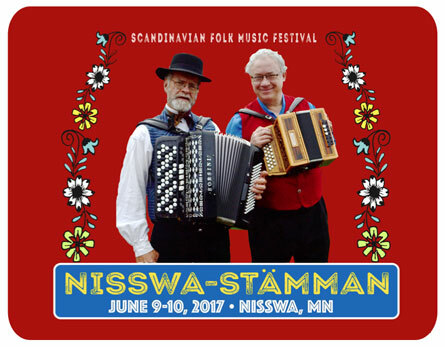 For more information see the Nisswa-stämman's Website or their Facebook Page. ​Come and celebrate Vappu, or May Day, with the Finn Hall Four! 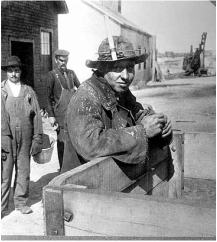 Vappu, Memorial Day of Saint Labor and the Workers International Festival Day, is celebrated with gusto in Finland. 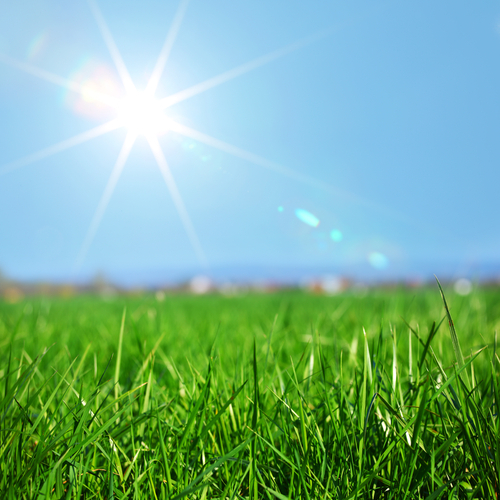 It has been celebrated in Finland since 1890 and in many countries it has been paid day-off since 1918. So come and enjoy an evening of music and dance in celebration of Vappu! 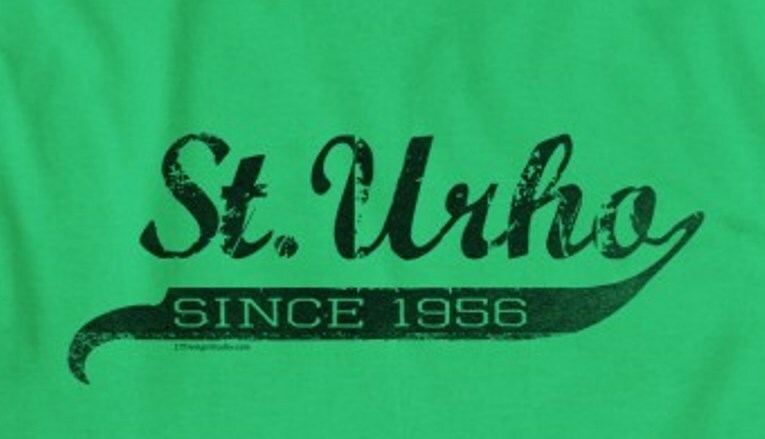 Finn Hall Celebrates St. Urho's Day! ​Come, wear your purple and green and celebrate 'St. Urho's Day' with an evening of music and dance at the Eagles! $5.00 cover charge. Food and drinks available for purchase. 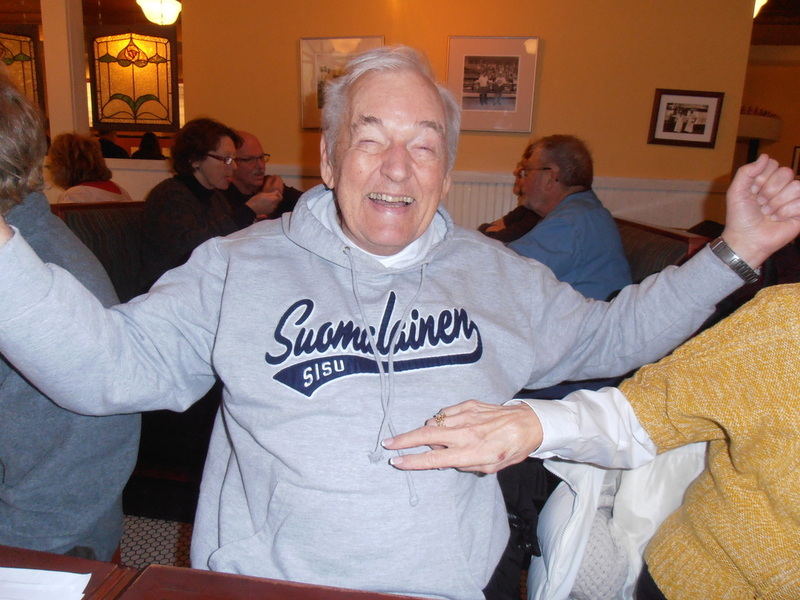 Finn Hall Celebrates St. Urho Day at the Bistro! ​Come and celebrate 'St. 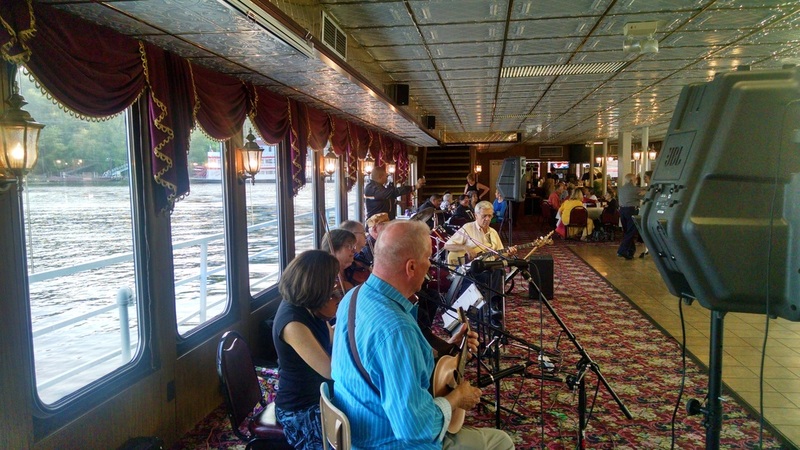 Urho's Day' at the Bistro with an evening of music, dance, and special menu items created for this special occasion. No Cover Charge! ​For more information, please see Finnish Bistro's website. Finn Hall Celebrates Finnish Mardi Gras! ​Come and enjoy an evening of music and dance, celebrating "Laskiainen" or Finnish Mardi Gras. Cover charge: $5.00. 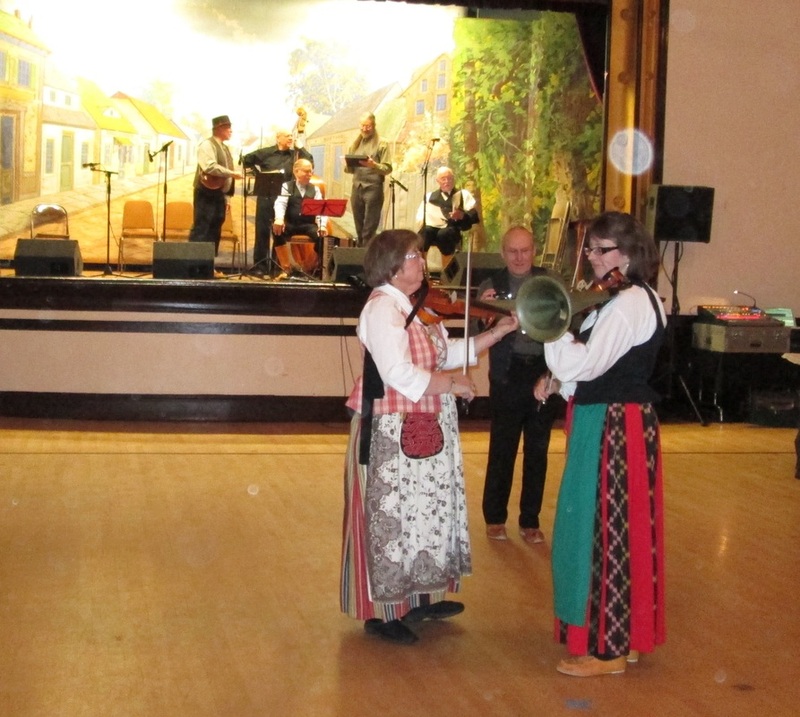 There will be Split Pea Soup available for purchase, and plenty of Finnish music for dancing! Finn Hall goes to the South Range Eagles! ​After a weekend of Finnish fun at Heikinpäivä, join Finn Hall and friends at the South Range Eagles for an afternoon of music and dance. Finn Hall goes to Heikinpäivä! 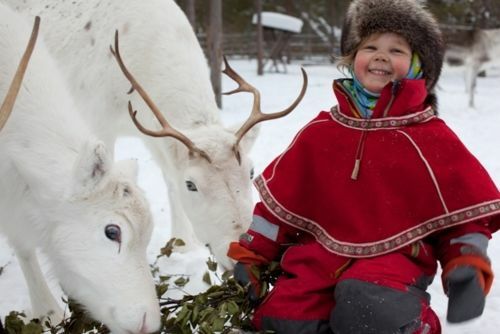 ​Come where winter is celebrated through music, dance, savoring Finnish foods, shopping at the Finnish Tori, and outdoor events like the annual parade and polar bear dive. ​Finn Hall at the Eagles! 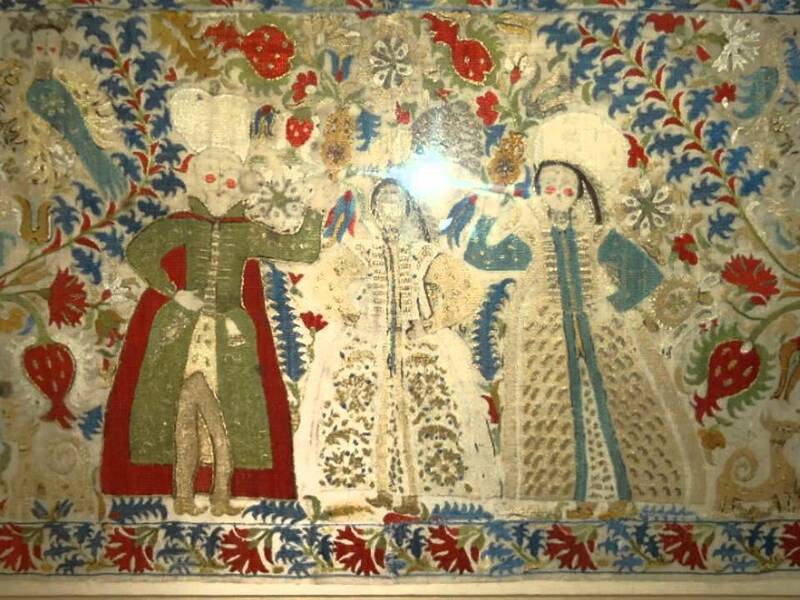 ​Come and enjoy an evening of music and dance in the large ballroom. ​The Eagles will have a homemade dinner available for purchase throughout the evening. 2015 Schedule Archives. . . .
Finn Hall at the Eagles for Second Harvest! ​Come and enjoy an evening of music and dance while benefiting our local Second Harvest. ​All stages at the Eagles will be scheduled with different bands throughout the evening. ​Cover Charge $10, or $5 with a food donation. ​For more information see the Eagles' Website. The Eagles will have a homemade dinner available for purchase. 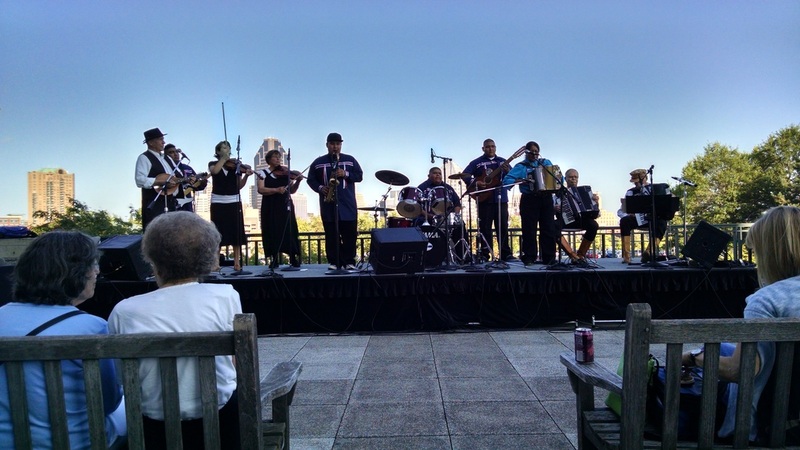 These Library concerts are presented by the Metropolitan Library Service Agency (MELSA) and funded in part by the Legacy Amendment which is dedicated to preserving Minnesota's culture and heritage. 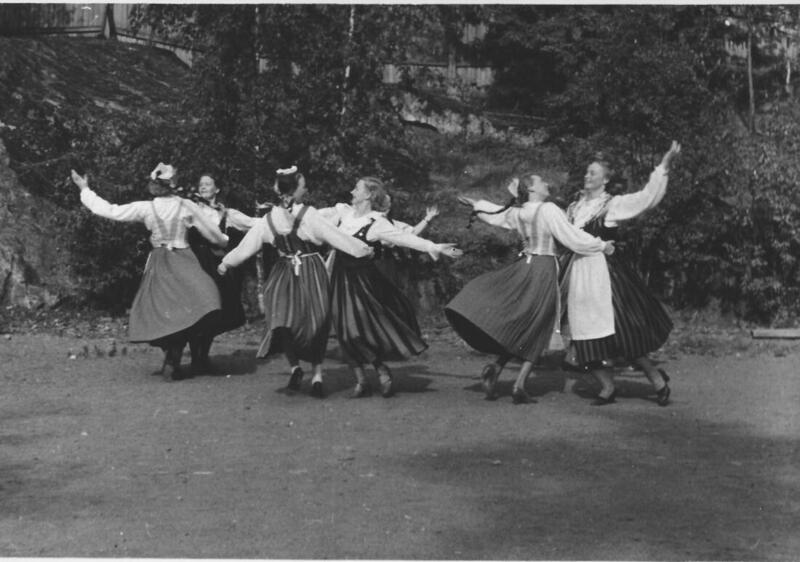 We're excited to be part of this concert series and share the music and dance of our Finnish heritage. See you there! Finn Hall performs at 'Finnspiration' FinnFest 2015 in Buffalo! The Eagles will have a homemade chili dinner available for purchase. Finn Hall will be playing for a private Midsummer party and dance in Oulu, Wisconsin. Finn Hall will be playing at the weekend "Midsummer at Saint Mary's" event in Tower, Minnesota. Come and enjoy an evening of music and dance with Finnish friends, and cake! Cover: $5 Soup and a light meal will be offered for purchase. 2014 Schedule Archives. . . .